The Starbuck Station Wools name Starbuck comes from Sheppard Martha Cant's mother’s family, out of Nantucket—whales, Station bit is from Australian and New Zealand sheep stations, or ranches. Starbuck Station Wools has a long history of involvement in wool. When Sheppard Martha Cant moved to Freestone in 1974, she acquired 17 acres of pasture. She started with Corriedales, added Lincolns to improve the luster, then when she needed a new ram, invested in a Wensleydale/Lincoln and a few Cormo ewes to breed him to, giving her the best combination of shiny and soft. Her flock consists of various mixes between these two types of wool, always striving for the right balance of length, fineness and crimp. She has a number of naturally colored sheep, black and grey in the Wensleydales, and brown in the Cormos. She sells whole or half raw fleeces, wool processed intoroving or sliver, and hand spun yarns. 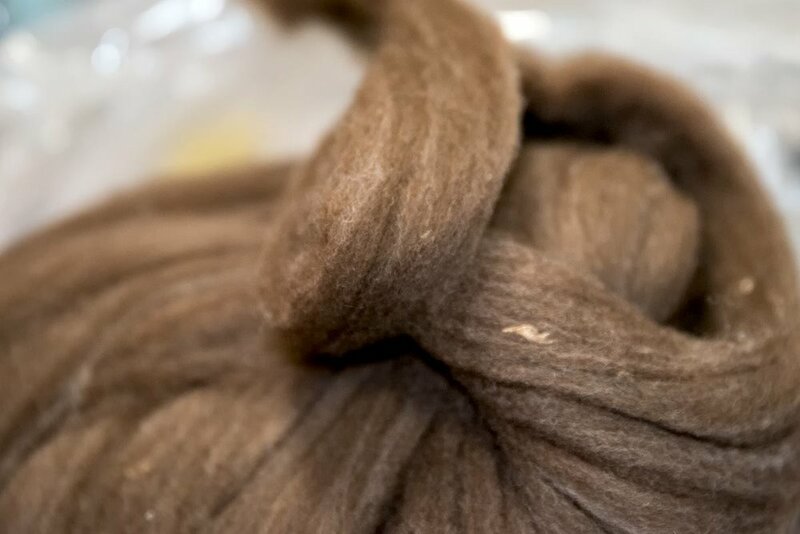 A second interest of Martha's has to do with dyeing wool with natural dyes, plants and bugs which are found in nature and used to impart color to fiber. She raises a lot of my own dye plants: Japanese indigo, madder, coreopsis and marigolds. Queen Anne's lace and goldenrod, lupin flowers and laurel leaves are gathered from roadsides. She is developing a palate from these sources, and she dyes a lot of quality commercially spun yarns as well as her own hand spun. Starbuck Station Wools are available at the Artisans' Co-op, 17175 Bodega Hwy, Bodega, CA 94922 .